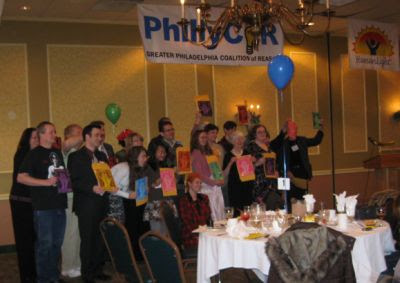 HumanLight is a new holiday, founded about 8 years ago by a group of Humanists in New Jersey. It’s now celebrated by a handful of people throughout the US, and at least one group in England is holding a HumanLight party this year. The holiday season permeates American culture in December, and the idea was to provide athiest, agnostics, and Humanists, who don’t believe in the religious trappings of Christmas and Chanukah with a holiday they could call their own. This weekend I attended a HumanLight Party in Horsham, Pennsylvania in order to interview people and produce a report for NPR’s Morning Edition. Interesting and informative interviews and story on NPR. I was not aware of HumanLight until hearing this. Thank you for your insights, Tony Hileman. The world really does work better when we do what comes naturally, which is to do what is best for "the greater good of all…." The way we live does matter. It's all about love! Happy Human Light Day! And to all a good night.